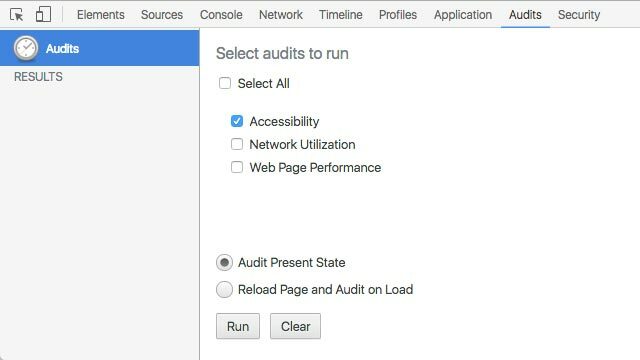 Did you know that you can run an accessibility audit on your site from Chrome? Simply add a Chrome extension, read the errors and warnings, and you’re on your way to fixing the issues. The tooling for running the audit is available in the Chrome Web Store as an Accessibility Developer Tools extension. Download and install to add the extension to Chrome. From here, select the ‘Accessibility’ audit, and you can click Run to run the audit. Note that you can run this on local webpages as well, so this is a great local dev tool. Once you click run, you’ll get a list of accessibility issues, either at the level of error or warning. Go from top to bottom, and you should be resolving issues in order of severity. To get more information on the errors, there are great links to small explanations of the rules. For instance, this one about AX_ARIA_10, “This element has an unsupported ARIA attribute”. For even more information about things like ARIA properties, the w3c has some more comprehensive documentation, such as its Supported States and Properties page. Once you fix up your markup, you can re-run the audit to see the errors go away. Wouldn’t it be cool if there was a hot-reload type feature here for auto rerunning of the audit? The underlying library that powers this accessibility audit in Chrome is called axe-core. It can be run programmatically, thus dropped into any of your browser-running test suites (eg, functional tests in Selenium). Thank you Maureen for introducing me to this great tool. What other handy dandy tools have you found for testing for different accessibility issues?